The Axiom H2 Datalogger is ideal for simple to complex hydrologic or hydrometeorology applications where reliability is paramount and/or the station is very remote. 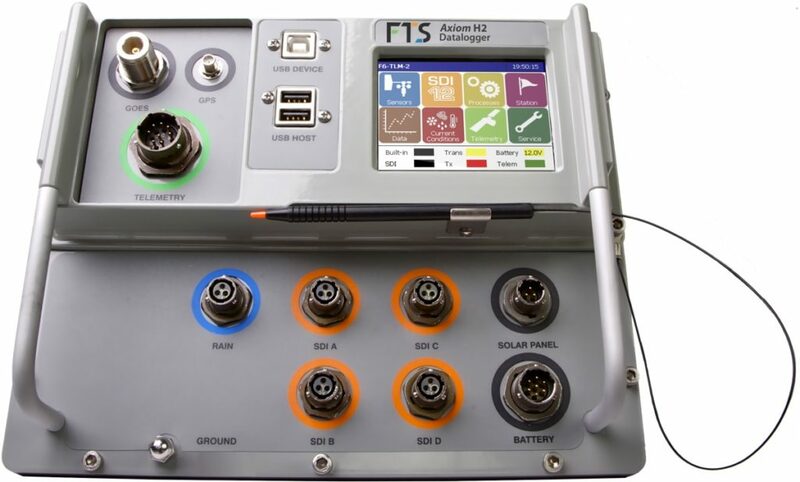 The Axiom H2 Datalogger is a rugged data logger (DCP) designed for remote data collection and complex SDI-12 sensor applications. It features four independent, electrically isolated SDI-12 ports that can each handle up to 500mA, and an integrated solar regulator.